Democrats seems to want to regulate every other organization, but they say any oversight of Planned Parenthood is off limits. It’s getting tiresome to watch Maine Democrats tie themselves in knots trying to prevent any type of oversight of Planned Parenthood. Here is a party that seems to struggle to find anything it doesn’t want to regulate, now fighting tooth and nail to keep an outpatient surgical facility, which receives hundreds of millions of dollars in taxpayer funds, from having any regulation, oversight or accountability at all. Over the past few months, a series of disturbing videos has surfaced, videos that show Planned Parenthood officials engaging in the sale of aborted fetal tissue and body parts and, in some cases, haggling over the price. Multiple media reports have confirmed the authenticity of these videos, despite the claims of Planned Parenthood and their supporters that they were altered or deceptively edited. Since these videos have come to light, Planned Parenthood has launched a campaign of misinformation, mostly by misleading people through omission. For example, it claims that in a recent poll 70 percent of Mainers agree with it, and Planned Parenthood should continue to receive federal and state dollars without the accompanying oversight that usually goes along with that type of public funding. A Planned Parenthood official admitted this week on a Portland radio show that the poll it references was commissioned and paid for by — you guessed it — Planned Parenthood. Meaning it was in charge of how the question was worded, and who was asked the question. I’m surprised it couldn’t get more than 70 percent, considering it rigged the game. If it is confident that people agree with its position, then why stack the deck? I proposed legislation, L.R. 2169: An Act Regarding the Disposition of Fetal Tissue from Abortions, that would simply ensure that these vile practices are not going in this state. Currently in Maine, an abortion provider must fill out a form every time an abortion is performed. That information includes the name of the facility, the county where the abortion was performed and the estimated gestation of the fetus. I proposed adding the following information to that form: The name and address of any person who takes custody of the fetal tissue, with the exception of a funeral establishment or a crematorium; the amount of any compensation paid in exchange for the tissue; and whether the patient granted informed consent for the transfer of custody. I don’t think that is asking too much when we consider what has come to light over the past few months. But Democrats on the Legislative Council did vote not to allow this bill to be considered during the upcoming session. This should come as no surprise. Democrats have protected the “right” of Planned Parenthood to operate with taxpayer funds, in a cavalier manner and without a shred of accountability to taxpayers. In other words, in the eyes of the Democrats, Planned Parenthood is untouchable, and it owes the taxpayers who subsidize its existence nothing. Last session, my colleague, Rep. Deb Sanderson, R-Chelsea, put forward a bill that would have brought abortion clinics in Maine up to the same standard of licensing and accountability as every other outpatient surgical facility in the state. Democrats quickly killed the bill. Other legislation that the Legislative Council will considering next week would divert public funds away from Planned Parenthood and give the money to other facilities in Maine that provide the same women’s health care services. Nearly 200 locations in Maine provide far more comprehensive women’s health care than Planned Parenthood, so why are Democrats so quick to defend it even amidst the most vile of wrongdoings? Perhaps it’s because Planned Parenthood is a very generous contributor to Democratic candidates running for the Maine Legislature, giving close to $1 million to help them get elected in 2014 alone. Regardless of one’s stance on abortion, after seeing these videos, we legislators are required to act, not turn a blind eye and simply stand with Planned Parenthood just to make sure those precious campaign contributions keep rolling in. 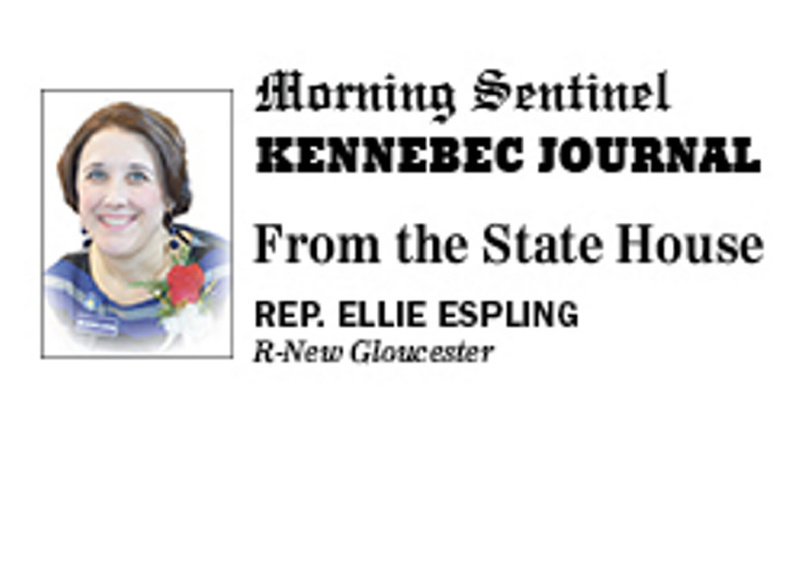 Rep. Ellie Espling, R-New Gloucester, is the assistant Republican leader in the House of Representatives, where she represents the people of District 65, which includes New Gloucester and part of Poland. She’s serving her third term in the Legislature.